It is largely owing to the popularity of Alberts' work that organic architecture enjoyed what amounted to a rebirth at the end of the 1980s. 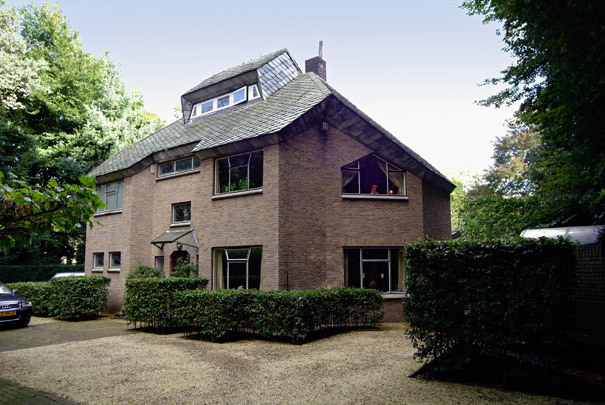 This architectural tendency, particularly the anthroposophical variant rooted in the ideas of Rudolf Steiner, first took off in the Netherlands in the 1920s and '30s. The major exponents then were the Hague architects Gerretsen and Wegerif. This private house is one of their most eloquent designs. All the hallmarks are there: an organic parti in brick with a minimum of right angles, irregular window shapes, many multi-form roof planes and a prodigal use of colour.